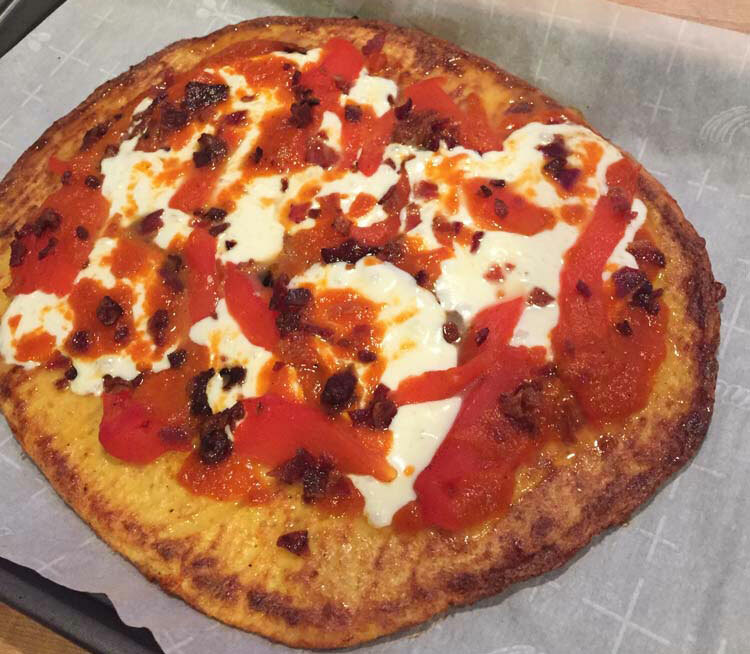 One reason I love the keto diet is that eating fat is satisfying when you get creative with replicating your favorite high-carb cravings like pizza in low-carb form. That’s where cauliflower comes in. A relatively neutral flavor with fiber, cauliflower is in the “cruciferous” vegetable family including broccoli, kale, collards and cabbage. They are known to be some of the healthiest vegetables with potentially cancer protective properties. Cauliflower crust is easy to make at home and will be lower carb than store-bought brands like Caulipower that add rice flour. 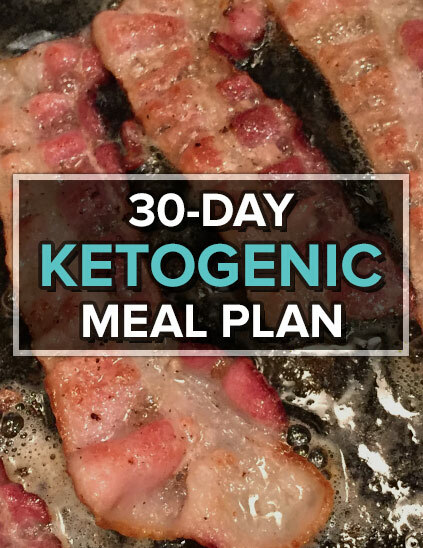 If you check their nutrition, you’ll see it’s not exactly keto-friendly (though a step in the right direction)! 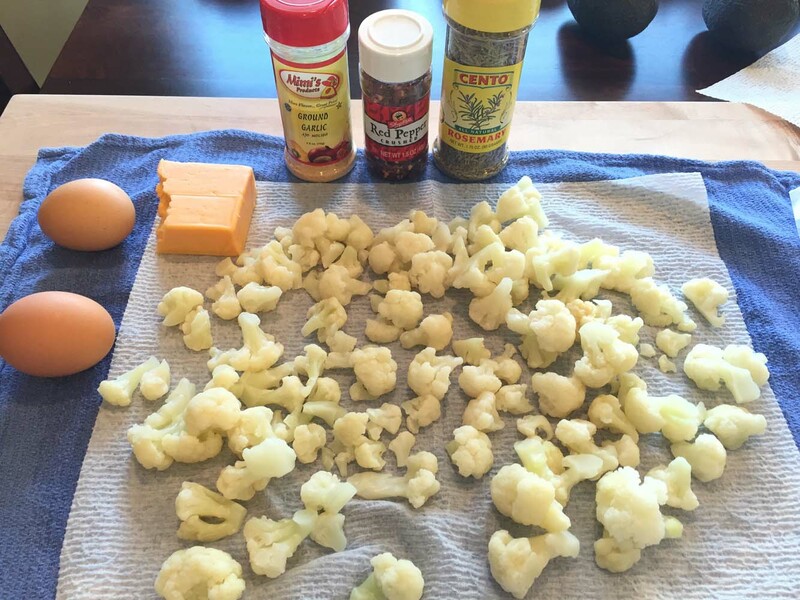 Here’s how I make cauliflower crust pizza. 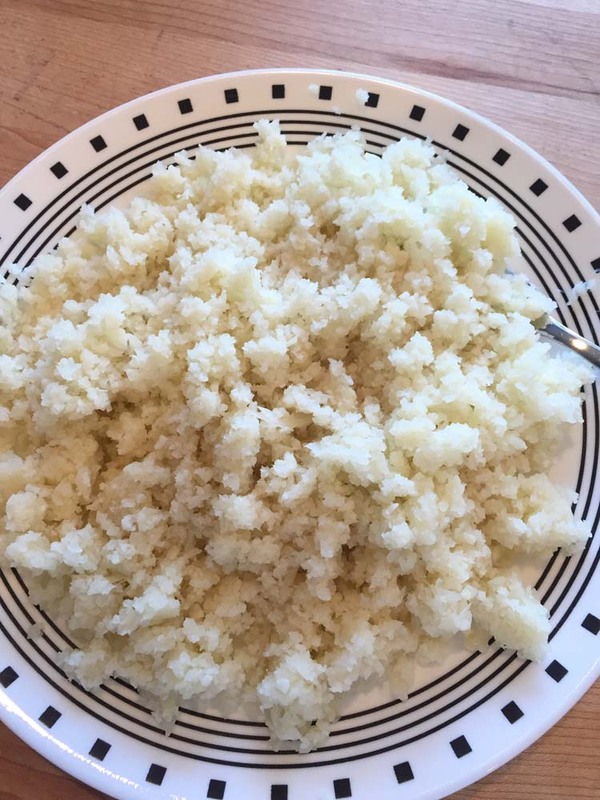 Most of the recipes I’ve seen call for fresh cauliflower steamed for 5-10 minutes in the microwave. It figures that when I visited my local grocery store, they didn’t have cauliflower available in the produce section, so I had to try the frozen bag instead. Open up the bag and defrost the frozen cauliflower in a bowl of warm water until they are about room temperature (or at least not icy). 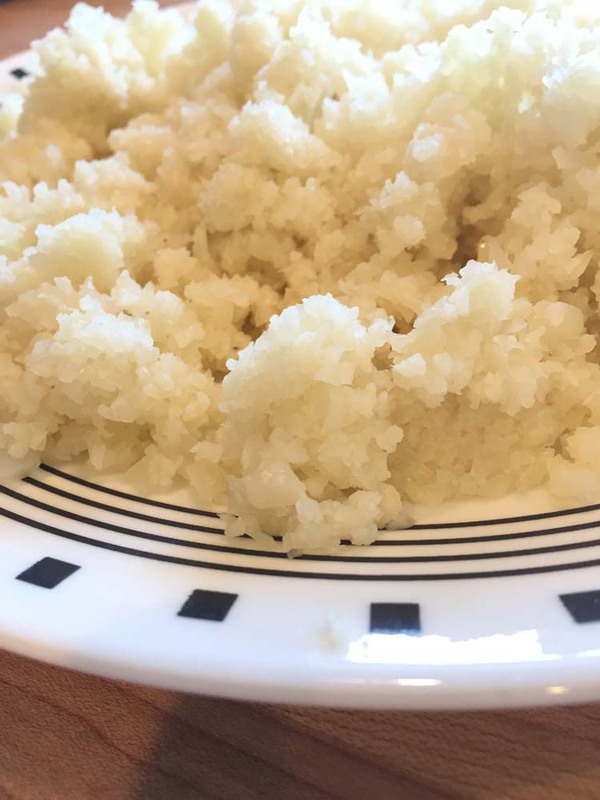 Drain completely, and “rice” the cauliflower by chopping in a food processor. 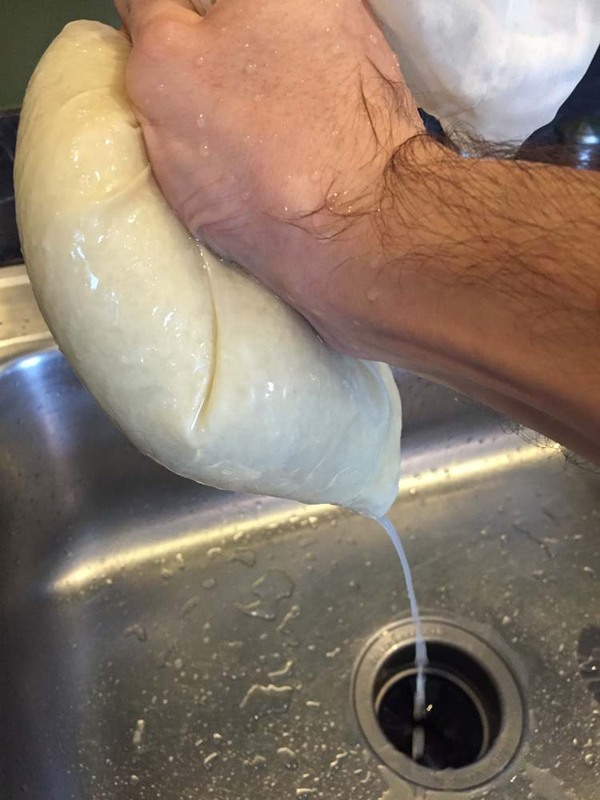 Next, you want to squeeze as much liquid as possible out of the cauliflower – allowing it to drain isn’t enough. For this, you can use either a tea towel or a nylon bag like the one I used (which was purchased in a beer homebrewing shop). I’ve also experimented with roasting the riced cauliflower in the oven to drive off even more moisture. But most of the time I’m lazy and want to eat right away! Once the liquid is removed, your left with a thick mashed potato-like consistency. 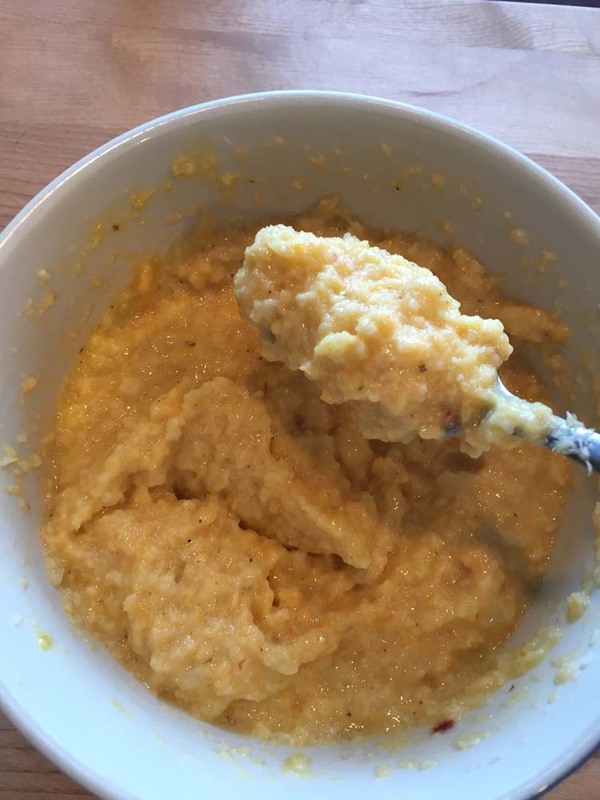 You can now mix with the beaten eggs and shredded cheese and any spices. I’ve even used a sprinkle of psyllium husk, which is purely fiber, because it helps to tighten the mixture together like gelatin when it sits for a few minutes. 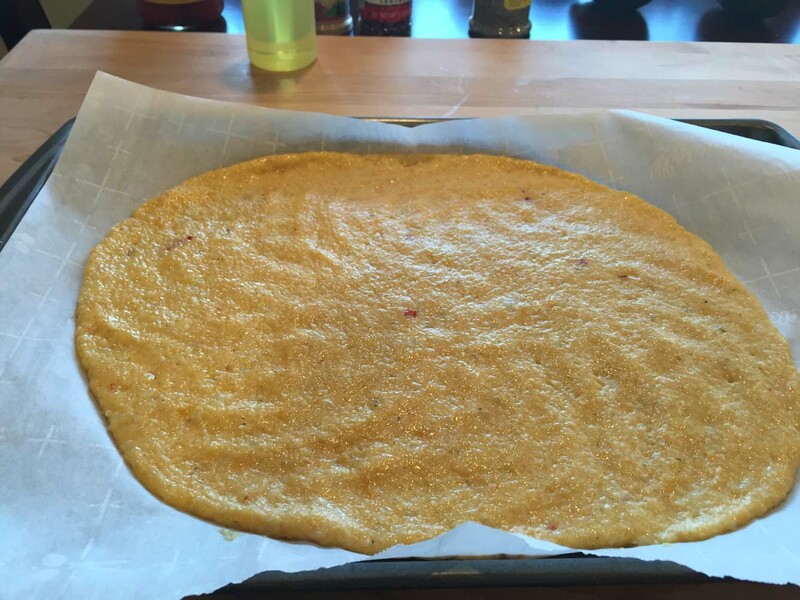 Put cauliflower pizza dough onto a parchment paper lined baking sheet, then you can flatten to a thin crust using a sheet of wax paper on top. Drizzle with olive oil and a little salt, then bake in the oven at 400 degrees until the top and edges begin to brown. The time will depend on how much moisture is squeezed out, so it varies. When it gets to this point (and your kitchen smells great), take it out and flip it using a large plate. Top with your pizza ingredients, then continue to bake for another 10-20 minutes until the toppings and crust begin to brown. It has a slightly cauliflowery taste, but for the most part it’s simply a vehicle to cheese, pepperoni, sauteed onions, bacon and other lovely toppings. 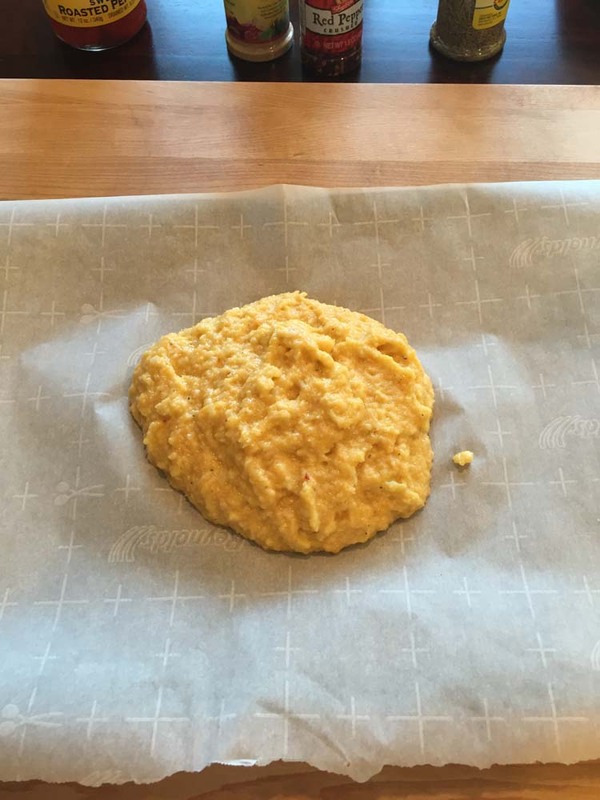 The consistency is like soggy pizza dough, but the edges crisp up and it doesn’t fall apart. 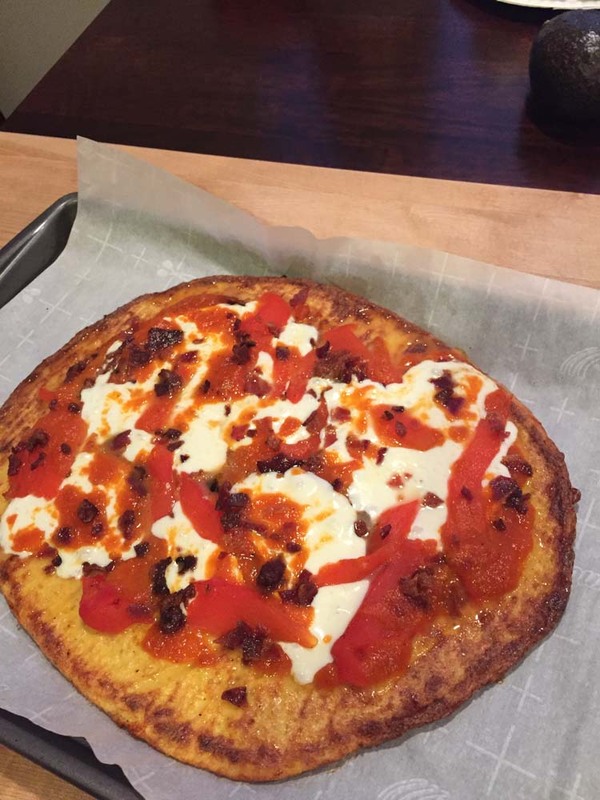 I make this cauliflower crust pizza every week or two. It’s an easy way to get cauliflower into your diet.